Serving: Kansas City – MO – Missouri and the surrounding areas. Face Painting Paradise offers a professional face painting atmosphere at an affordable price. We also offer balloon twisting services and we love sharing our unique and creative abilities. From birthday parties to corporate events, our artists will bring excitement and energy to your special event occasion. Contact us today to book entertainment or visit our website for more infomation and to view our galleria of examples. Add a Face Painting Business to the Find Face Painting Directory. 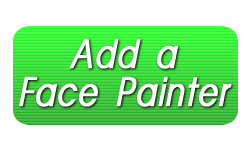 FindFacePainting.com is a proud member of the KidsPartyResource.com network of professional childrens entertainment.